I am so excited to announce the publication of a book by Maureen Taylor and me in the National Genealogical Society’s “Research in the States” series. Research in Rhode Island was published recently by NGS and is available for sale in both pdf and paper versions on their website; see this page on the NGS bookstore; scroll to the second page of the Research in the States volumes for Rhode Island. Maureen is the author of an article in the NGS Quarterly from 2000, now completely updated by the two of us for this volume. Along the way we visited some important Rhode Island repositories, and got special tours and a lot of insight into the preservation of Rhode Island’s past. 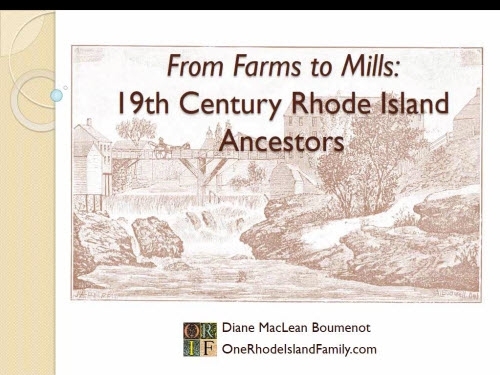 NGS Research in the States, Rhode Island, by Diane MacLean Boumenot and Maureen Alice Taylor. 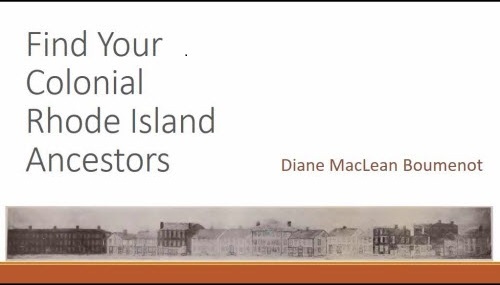 The book offers a broad discussion of Rhode Island’s founding and how its unique history has shaped the development of the kinds of records that genealogists use – vital records, cemeteries, deeds, court records, newspaper, military, census, and probate. The availability of published and manuscript record sets is investigated. That’s me in the picture above; photo by Maureen Taylor. The book was launched at the May, 2018 National Genealogical Society meeting in Grand Rapids, Michigan. Maureen Taylor and I (pictured below; photo by Kathryn Doyle) are proud of our new book and hope that it will lead Rhode Island researchers to the resources that they need to uncover those fascinating Rhode Island stories. 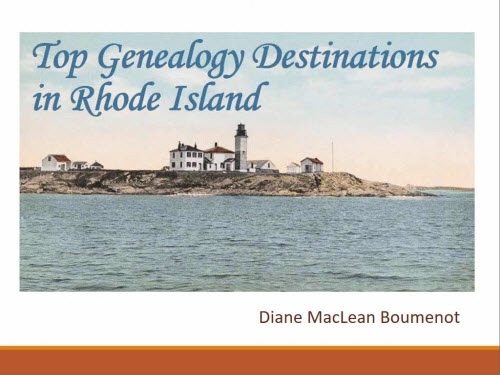 See both pdf and paper versions for sale on the NGS bookstore on this page; scroll to the second page of the Research in the States volumes for Rhode Island. Nice work, ladies. Think I’ll order Rhode Island and New York, but disappointed there in no Connecticut. I’ll pass that along Jack! Congratulations on the publication! It’s bound to be helpful to RI researchers. Well done!